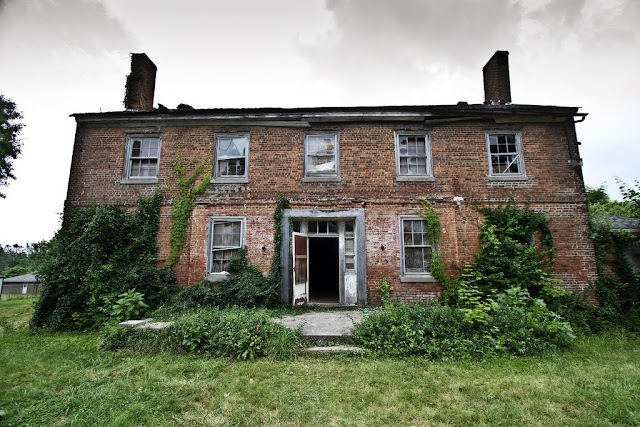 On March 17, 2015, the Secretary of the Interior approved the inclusion of 6 Kentucky properties into the National Register of Historic Places. 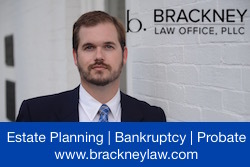 The properties are located in Campbell, Jefferson, Kenton, and Pike Counties and represent Kentucky's manufacturing, residential, entertainment, and educational past. These six sites were previously profiled here and here. And you can read more about the National Register of Historic Places here. Marianne Theatre Marquee. NRHP Application. This Bellevue, Kentucky, theatre was designed by Registered Architect Paul B. Kiel in 1941 in the Art Deco and Moderne Style. It was built by owner-manager Peter L. Smith in 1942 in the center of the 600 block of Fairfield Avenue in Bellevue, Kentucky. Already on the National Register as part of the Fairfield Avenue Historic District, the property is being indvididually listed to draw additional attention to it. 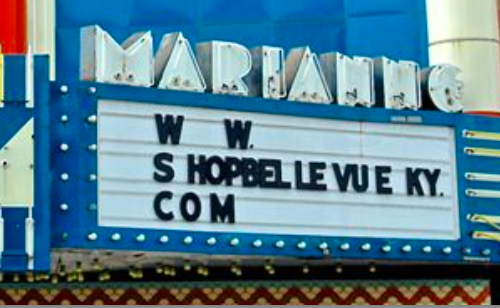 There once were over 60 neighborhood theaters in northern Kentucky and the Marianne was one of the finest. Charles Young Center. NRHP Application. Across the street from Lexington's Isaac Murphy Memorial Garden stands the Charles Young Park and Community Center. This part of Lexington's East End is undergoing a renaissance and the Charles Young facilities stand to be a landmark in this change. The park has been owned by the city since 1930 and the one-story brick veneered side-gable community center is an icon of Third Street. During Jim Crow-era Kentucky, segregation dictated separate community facilities for blacks. According to the nomination, the "Charles Young Park provides an important physical and spatial indication of the existence of the East End community, and the importance that a public place holds for any community— for recreation and civic gathering." 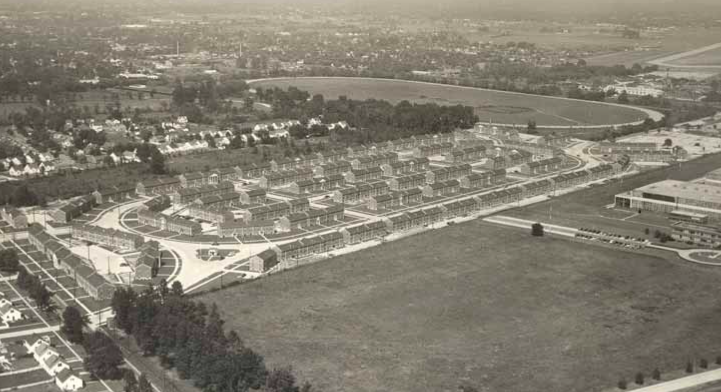 Circa 1950 Aerial of Lynn Acres. NRHP Application. The 66 two-story apartment buildings in Louisville's southside were constructed between 1947 and 1950. The complex includes a variety of 12-, 8-, and 4-plex units with greenspace behind each structure intended for children's play but which is now used by many residents for gardening. The brick construction and side-gabled roofs had architectural attention in their design - a rarity in today's residential apartment design. But perhaps the layout of the buildings deserves the most attention as the green space between them and the connected streets are key to good community design. LG&E Service Station Complex. NRHP Application. Also known as the Edison Building, this gas and electrical service station was constructed ca. 1924. It stands on a 4+ acre lot at Louisville's 7th and Ormsby, and all of the acreage is included in the nomination. Even before 1924, the site's utility was related to generating power. The main structure is cube-shaped and constructed primarily of poured cement. The south façade is the most decorated of the four sides and it is divided into 9 bays. The three-story structure was built with the potential of expansion to 8-stories, but demand was never realized for the additional square footage. A red brick gate house, ca. 1890, also stands on the property. Hellman Lumber and Manufacturing Co.
On Covington's 12th Street, stands the Hellman Lumber and Manufacturing Co. 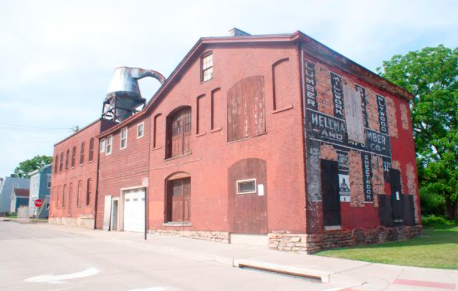 This warehouse was built from 1886-1894 and the company is one of the community's oldest businesses dating to 1879. 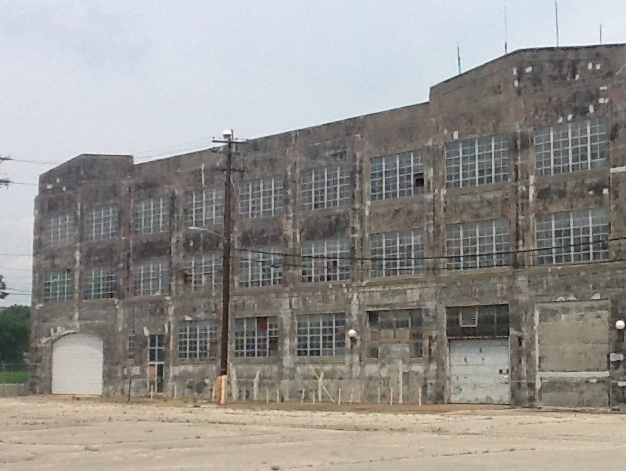 Without a doubt, many of Covington's structures have been built with wood that has passed through this facility. The nomination form describes the main warehouse as "an intact two-story two-bay side-gabled brick warehouse-style corner commercial building that is approximately 14,000-16,000 square feet. The original foundation is wet-masonry limestone." The building and its story represent an intact representation of the era's booming lumber industry. Elkhorn City High School. NRHP Application. 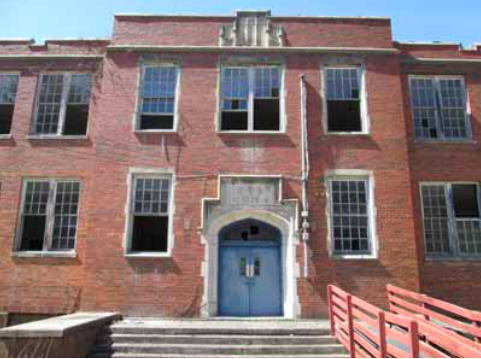 Near the heart of Elkhorn City are its schools with the complex (6.8 acres) including 6 structures, of which 3 are contributing to the historic character: a 1938 WPA high school, a 1956 elementary school, and a 1956 music instruction building. 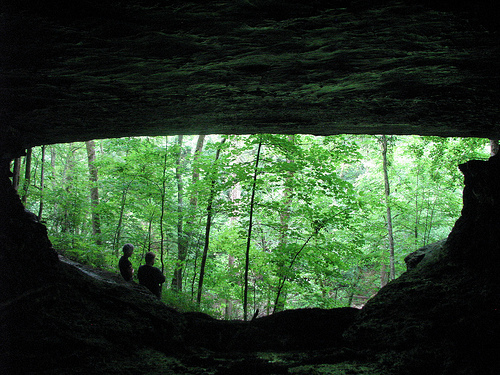 Elkhorn City lies in Pike County about 20 miles from the seat of Pikeville. During the academic life of these buildings as academic facilities, 1938 to the 1980s, the manpower required for coal mining increasingly declined even when demand was high due to mechanization of the process. 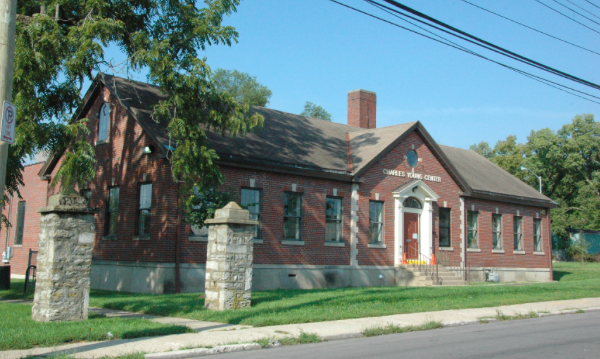 The nomination form provides that "These facilities demonstrate a continual dedication to public education within this rural Kentucky community. Their existence displays a successful development from rural school facilities into a modernized educational system."